Free Speech therapy in Sacramento for kids, Speech Therapy for toddlers and children. Low cost speech therapy in Sacramento, CA. There are two options for speech and language therapy for children that are free or low cost. All links and titles open in a new window, with more webpages listed on top, feel free to explore. Ph. (916) 731-4357 Mon. – Fri. 8:00 a.m. – 4:30 p.m. Speech therapy for preschoolers, speech therapy for kids and speech therapy for children between three and twelve years of age are eligible for Sacramento Speech Therapy services. Eligibility is determined by our assessments or those provided by other agencies. Masonic affiliation is not required. (Shasta hall, Room 172) Mon. – Fri. 8:00 a.m. - 5:00 p.m.
During the summer schedule, call (916) 2787732. Provides a language and speech assessment for 75.00 this is the lowest fee you will find for a speech Therapy Sacramento assessment. Includes Speech Therapy classes with a speech therapist Sacramento for a low cost fee if recommended after assessment . Mon. – Fri. 8:00 a.m. -5:00 p.m. Can provide Spanish speech therapy materials in Spanish, resources and referrals to find Speech/language specialist for bi-lingual assistance. 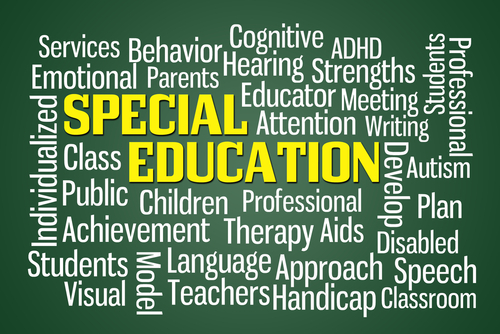 Students or children with disabilities and learning disabilities in Sacramento. Special Needs Children and Kids Programs in Sacramento. Free child speech assessments and related Free Speech Therapy materials of clinical standard that can be used at home. Services For The Blind In The County Of Sacramento, CA. Provides a monthly payment of $50 to eligible persons who use a guide, signal, or service dog to help them with needs related to their physical disabilities. Mon. Fri. 8:00 a.m. 5:00 p.m.
Mon. – Fri. 9:30 a.m. - 4:30 p.m.
You may contact us to obtain a print application form. Loans Braille, cassette and talking books, magazines and playback equipment to northern Californian’s unable to read conventional print. Mon. – Fri. 8:00 a.m. 4:30 p.m. Generously provides service, skilled companion, and hearing dogs to people with disabilities. Answering Machine Mon. – Fri. 8:30 a.m. – 12:00 p.m. and 1:00 p.m. - 5:00 p.m.
1(866) 658-8417 Emergency, (916) 349-7529 Family Line. Ensures that California’s public programs are adapted to meet the communication needs of deaf and hard of hearing children, adults, and families, so they may receive the public benefits and service to which they are entitled. Everything to do with Deafness and Deaf service within Sacramento County for both individuals and families. E-mail: [email protected] Hamilton Relay provides free Telecommunication Relay Services for the state of California including TTY, Voice Carry Over, Hearing Carry Over, Speech to Speech and Captioned Telephone services to people who are Deaf, Hard of Hearing, Speech disabled and Deaf-Blind. Please call to determine if you may receive a free Cap Tel phone. Mon. Fri. 8:30 a.m. – 1:00 p.m.
A school devoted to teaching deaf and hard of hearing children to listen and talk. Also offers free materials for Parents, Students and educators. Provides state-of-the-art hearing clinic, school testing, industrial site screening, and referral services. Offers specialized telephone equipment and network services at no charge to consumers who have a communication limitation.